Adelino Nascimento, Composer, Lyricist, MainArtist, AssociatedPerformer - Hilton Ray, Composer, Lyricist - Edézio Nascimento, Composer, Lyricist Copyright : (P) 1993 BMG BRASIL LTDA. Adelino Nascimento, Composer, Lyricist, MainArtist, AssociatedPerformer - Hilton Jose, Composer, Lyricist Copyright : (P) 1993 BMG BRASIL LTDA. Adelino Nascimento, Composer, Lyricist, MainArtist, AssociatedPerformer - Cleyton Luiz, Composer, Lyricist Copyright : (P) 1993 BMG BRASIL LTDA. Adelino Nascimento, Composer, Lyricist, MainArtist, AssociatedPerformer - Hilton Ray, Composer, Lyricist Copyright : (P) 1993 BMG BRASIL LTDA. Adelino Nascimento, Composer, Lyricist, MainArtist, AssociatedPerformer - Edézio Nascimento, Composer, Lyricist - Cleyton Luiz, Composer, Lyricist Copyright : (P) 1993 BMG BRASIL LTDA. Ronaldo Adriano, Composer, Lyricist - Adelino Nascimento, MainArtist, AssociatedPerformer - Oseinha, Composer, Lyricist Copyright : (P) 1993 BMG BRASIL LTDA. Adelino Nascimento, Composer, Lyricist, MainArtist, AssociatedPerformer - Milson Nascimento, Composer, Lyricist Copyright : (P) 1993 BMG BRASIL LTDA. 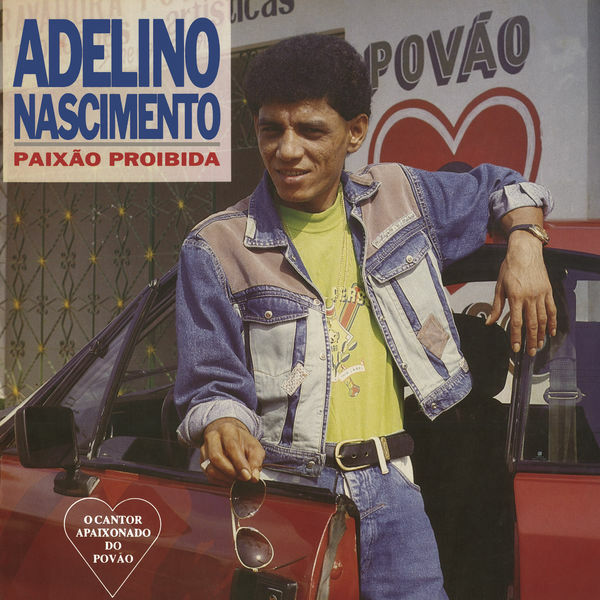 Adelino Nascimento, Composer, MainArtist, AssociatedPerformer - Oseinha, Composer, Lyricist - Milton Nascimento, Composer, Lyricist - Lindolfo Barbosa, Composer, Lyricist - Oseas Carlos, Producer Copyright : (P) 1993 BMG Brasil Ltda. Adelino Nascimento, Composer, Lyricist, MainArtist, AssociatedPerformer - Cícero Rossy, Composer, Lyricist - Edézio Nascimento, Composer, Lyricist Copyright : (P) 1993 BMG BRASIL LTDA. Adelino Nascimento, Composer, Lyricist, MainArtist, AssociatedPerformer - Maurilio Costa, Composer, Lyricist Copyright : (P) 1993 BMG BRASIL LTDA.